Neville Longbottom. Wizard. Leo, 30th July 1980. Absent-minded, brave, green thumb, unlucky. 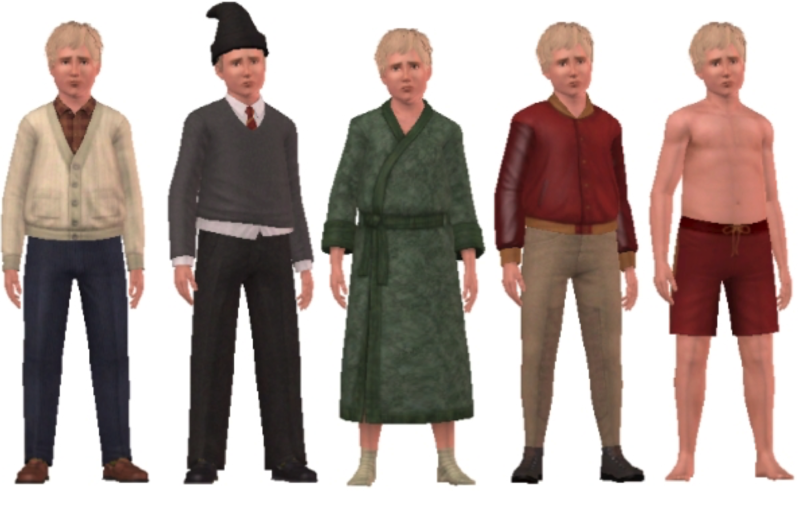 PLEASE NOTE: IN ORDER FOR THESE SIMS TO WORK IN YOUR GAME, YOU WILL NEED MATCHING CONTENT. MOST IMPORTANTLY, YOU MUST HAVE THE SIMS 3 SUPERNATURAL INSTALLED.